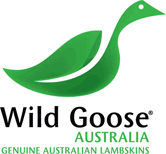 Wild Goose Australia is a wholesaler and exporter of high quality sheepskin products. Our product line includes ugg boots, sheepskin garments and floor rugs. All products are made with genuine Australian sheepskins. The quality and range of our sheepskin products is without equal. Using only the finest premium grade sheepskins, combined with 46 years of knowledge and experience in handling and exporting Australian raw sheepskins, we are able to create products that are of exceptional comfort and value. We are proud of our Wild Goose international collection which offers the market both traditional value and classic craftsmanship. Our excellent service and delivery have helped to strengthen our brand in our competitive industry. From our humble beginnings over eleven years ago, Wild Goose Australia has now grown to become a major player in both the domestic and international markets. Our commitment to excellence ensures your guarantee of satisfaction.